There are quite a few things that go into creating a good website. If you hire a company to build your website, you won’t have to deal with most of them. If the company is good, that is. If it’s not, or if you’d like to have a more hands-on approach to creating your business’ online presence, you need to know at least some of the things that are needed to make a website great. Probably the most important thing you need to consider before creating the website is – what does your website need to achieve for your business? Is it a place where people can buy products? Is it a place that’s only supposed to provide information about your business? Do you use it to get people to subscribe to a newsletter? These are the questions you need to address early on. Different types of websites require different elements, and retrofitting a website isn’t always easy, if possible. So make sure you know what you want in time. Your website needs a hosting provider. Websites have data, data needs to be stored, and hosting providers are the companies that let you store your website’s data on their servers. Some hosts are better than others, but what you really need to think about is the type of service you need. Shared hosts cost less, but they store data on a server along with the data of other companies, which might cause issues with the website’s loading speed. Dedicated hosts are more expensive, but they are less likely to cause slow-downs because they give your website a server of its own. It’s very important that your website uses optimized keywords, that is if you don’t want it buried on page eighteen of Internet search results. Domain name, meta-descriptions, and title tags are very important if you want your website to rank well in search results. And you do. You can track how well your website performs by using analytics tools such as Google Analytics. The proverb “what gets measured, gets managed” is very much applicable to your website, and these analytics tools will measure a lot of parameters that will help you fine tune your website for the best user experience. You might also want to use other tools to test some elements of your website such as the color scheme, or the typography). The more measuring you do and the more information you get, the better you can tune your website. A good website usually needs more than just a homepage. The idea of a website is not to use one page to dump all the info you’d like potential clients to have. You need to create a good experience, and each page needs to have a purpose or a different segment of information it provides. So a homepage is used to establish the identity of your company. To get people to know a bit more about it, you can use an “about us” page, where you can write the story behind your business and give it a more human touch. Websites often contain product pages, where you can use a separate page for each product or service you offer. And it’s also possible to have a blog on a website – it’s very good for the website’s search rankings. 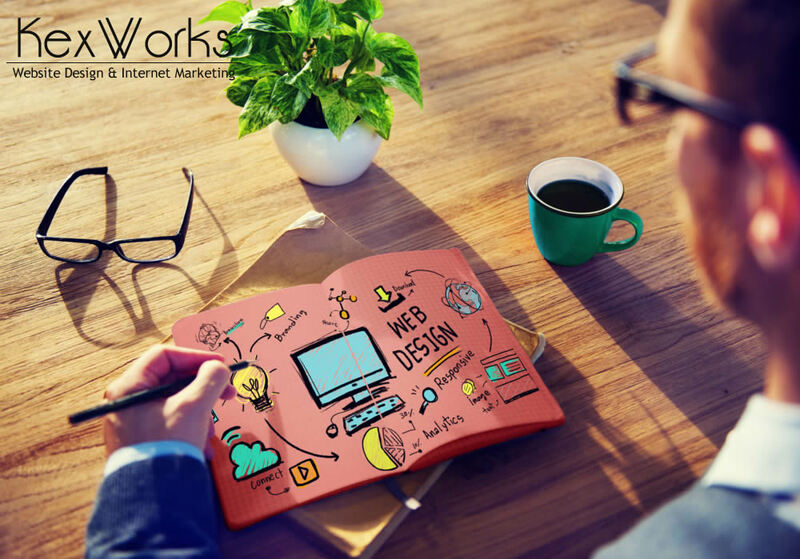 One of the most important roles of web design is to make these pages into a whole which users will have no trouble browsing. Your website and your social media profiles need to work together towards a single goal. Your business’ Facebook page, for example, can be used to drive traffic to your website. Your website is then used to seal the deal and get people to buy your products, hire you for your services, subscribe to a newsletter, or do whatever you want them to do. So you should think about social media and your websites as of two components of a system you use to benefit your business.